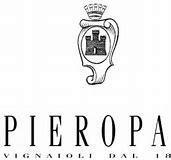 The Pieropan legacy began in the late 1800s when visionary winemaker Leonildo Pieropan purchased his winery building in the historic town of Soave. For over a century, the Pieropan family has revolutionized winemaking in Soave, becoming one of the most highly respected wine families in all of Italy. Today, this legacy of exceptional Italian winemaking is being carried forward in the heart of Soave village by Leonildo's grandson, Leonildo "Nino" Pieropan, his wife Teresita, and their sons, Andrea and Dario. Overseeing viticulture and winemaking, respectively, Andrea and Dario employ the same rigorous attention to detail as their forebears in bringing these celebrated wines to life.